The only Forklift Certification company in the High Desert. Hi Desert Forklift is the only company in the High Desert that is OSHA approved to provide certifications. Thank you for your interest in Hi Desert Forklift Service. We have been in business since 1998 and have a large inventory of new and used parts for early and late models of forklifts. We specialize in minor service repairs and major shop repairs as well. Our team of knowledgeable staff is ready to help you with all your forklift repair needs. We are locally owned and operated and provide Forklift Certification and Training. We are the only Forklift Certification company in the High Desert. 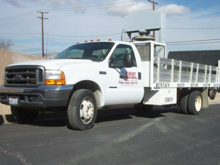 At Hi Desert Forklift we are also the only company in the High Desert that is OSHA approved to provide certifications. Please contact us for more information regarding our services and certification. © 2014 Hi Desert Forklift Service. All Rights Reserved.